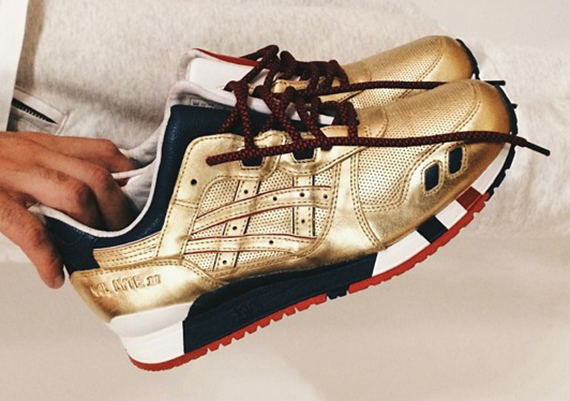 This color way of the Asics Gel Lyte III is inspired by the World Cup and based off of вЂњUSAвЂќ. The shoe features Gold leather throughout the upper and is lined with pigskin leather. The pair features a mismatched set of Red/Navy accents on the heels, midsoles, and tongues. White is present on the tongue, liner, and midsole as well to finish up.